Depend on our football dryers to keep your gear safe as can be. Our football dryers and rugby dryers are the perfect compliment to sports that are played in any and all kinds of inclement weather. Our SportsDryer™ is a warm and ambient forced air dryer that is perfect for athletes performing on wet and muddy fields. Ours is a portable dryer that weighs just 29 pounds, which makes the amount of gear you can fit on it even more amazing. Transport it easily from game to game so that you’ll have drying equipment on hand in the form of your team’s very own sports dryer. 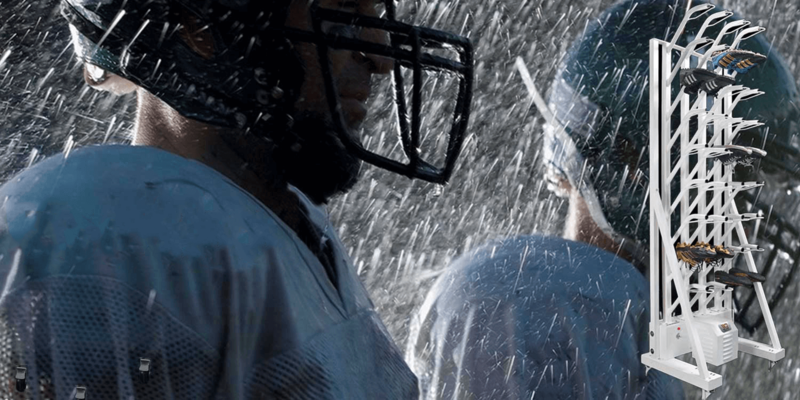 A wet, muddy field is no match for our gear and helmet dryers. Simply place your gear on this state-of-the-art drying rack and it will soon be dry and ready for more action on the field of play. At Williams Direct Dryers we’ve continuously pushed our industry in new and exciting directions. The addition of our SportsDryer™ is just another great example of this trend. 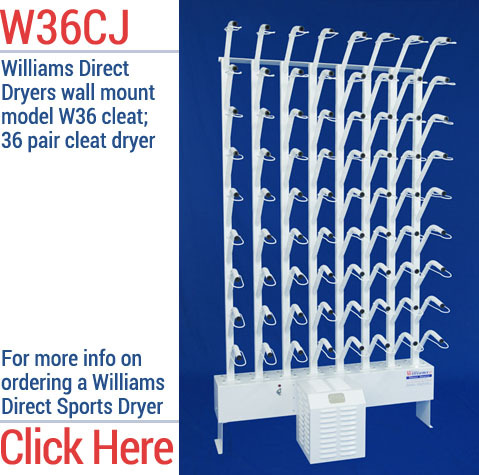 Our football dryers and rugby dryers are like no other products on the market. The entry of our forced air dryers into the sports market means that sports teams can now have their very own portable dryer on the sidelines. Drying gear while a game is going on is an idea whose time has come, and Williams Direct Dryers is proud to bring that idea to life. Our sports dryers were built with convenience, comfort and safety in mind. The convenience of a lightweight dryer that can travel with your squad from game to game is wonderful addition to any team. The comfort of a player who, despite playing in rainy or muddy conditions, can do so in gear that can be dried on the spot can help to optimize performance. And the safety of gear that is not a damp breeding ground for bacteria that can make an athlete ill provides further comfort and peace of mind. If you’re not yet familiar with our football dryers we invite you to learn more about what they have to offer to your team. In terms of performance and affordability Williams Direct Dryers has done it again.